It had snowed another couple of feet overnight. When I finally looked out my windows, I saw that no one had cleared a path in front of my door. How was my neighbor going to check on me? After I ate my breakfast, I put my boots and coat on, made my way down my steps for the first time, opened my front door, and saw this! I decided I better grab my shovel and start getting to it, since no one else was! It hurt my back more than anything, since each shovelful had to be heaved over a 9-10 foot mountain of snow on either side! Eventually, my landlord showed up. “I thought you were bed-ridden!” he said. I felt like it would be good to get a bit of exercise and the fresh air felt nice. After I finished, I made some hot cocoa from scratch! Joyce came by for a visit and sat with me for a bit. 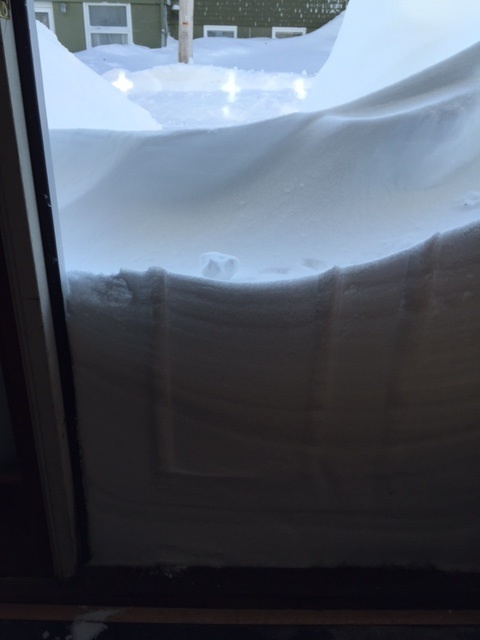 “Somebody shoveled out your door,” she said. “I did!”. I had invited her and her husband to my housewarming party when I first moved in many, many years ago, but they didn’t come. In all these years, we said hi to one another when we saw each other out, but this was the first time we had spent any time together and got a chance to learn a little about one another. Joyce said that she could tell we were kindred spirits just from glancing around my apartment when she first stepped in. She brought my mail up and I opened a letter from the hospital. 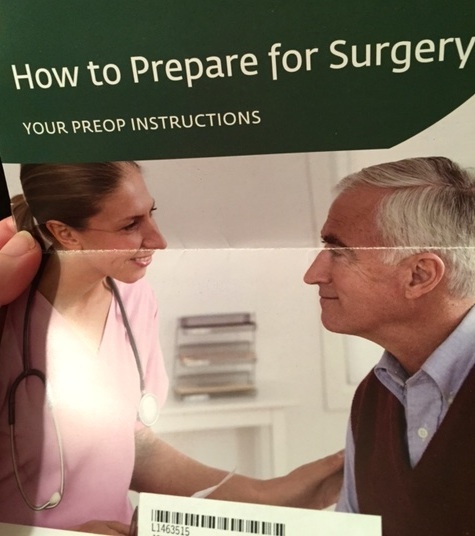 It was my pre-op instructions that the nurse forgot to give me! They were mailed the day AFTER my surgery! When Joyce left, she said, “I like visiting you!”. I was thankful for her check-ins, but surprised and disappointed that no one else had come by. My calf continued to hurt. My exercises were already starting to become boring. I started doing 30 reps at once instead of 10. Every day, I was supposed to do 90 of them! This entry was posted in Uncategorized and tagged medial meniscus tear, meniscus removal, meniscus removal surgery, meniscus surgery recovery by Wendy. Bookmark the permalink.